First Beeline Buses, trading as First Berkshire & The Thames Valley, is a bus operator providing services in Slough. It is a subsidiary of FirstGroup. In January 1986 The Berks Bus Company took over the Bracknell, High Wycombe, Maidenhead, Newbury, Reading and Wokingham operations of Alder Valley as part of the privatisation of the National Bus Company. In late 1987 The Berks Bus Company was sold to Q Drive and renamed Beeline. In 1990 the High Wycombe operations were sold to the Oxford Bus Company, and in 1992 the Reading and Newbury operations were sold to Reading Transport. In 1993 Beeline purchased the Slough operations of Luton & District Transport, until 1986 the Slough depot of London Country Bus Services and later part of the London Country North West division. In March 1996 Beeline was sold to CentreWest who in turn was sold to FirstGroup in March 1997. Initially trading as First Beeline, in 2001 it was rebranded as First Berkshire & The Thames Valley. Following the loss of nine Bracknell Forest Council supported services to Courtney Buses on 13 July 2015 and the sale of route 90 Bracknell to Reading to Reading Buses on 26 July 2015, the Bracknell garage closed on 28 August 2015. The company currently operates most of the town services in Slough, as well as services to surrounding areas such as Heathrow Airport, High Wycombe, Reading. The company was previously the dominant operator in Maidenhead, but town services there were abandoned in 2004 and are now run by Courtney Buses. As well as normal First branded services, there are five specially branded groups of routes. Some routes to Heathrow Airport are run with blue Heathrow 7 Series Mercedes-Benz O530 Citaros and have recently also began using Volvo 7900 Hybrids. Some routes in Slough are branded as Slough Trading Estate Hoppa, and use red liveried Optare Solos. The Legoland Shuttle is run with yellow buses in Legoland graphics. A new service, route 100, started on 2 June 2012, linking tourist destinations close to Windsor. Coach services are also run under different brands. The Reading to Heathrow service are branded as RailAir, and routes 701 and 702 as Green Line. First Berkshire & The Thames Valley operates American Bluebird school buses from an outstation in Chertsey for schools around Runnymede. 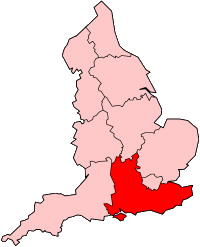 The company also used to operate Ride Pegasus!, a larger scheme run under contract to Surrey County Council from an outstation in Merrow, Guildford. This ceased in July 2010 after the council cut the funding. As at July 2015 the fleet consisted of 136 buses and coaches. ↑ "Surrey County Council - Access Buses - Web Archive". 10 May 2008. Archived from the original on March 18, 2008. Wikimedia Commons has media related to First Berkshire & The Thames Valley.